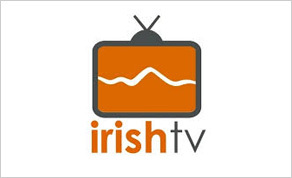 IrishTV launches tonight, Thursday May 1, in Westport and will broadcast across the UK, Ireland and Europe on Sky Channel 191, Freesat 400, Eircom’s eVision 191 and in the US on the Public Broadcasting Service (PBS) and is also available on all free-to-air boxes and on www.irishtv.com. An Taoiseach Enda Kenny and UK Prime Minister David Cameron have both voiced their support for Ireland's first international TV channel IrishTV. Speaking at the launch of IrishTV at Government Buildings, An Taoiseach said the new channel was a very welcome addition to the broadcasting landscape in Ireland. "All Irish life is local and the concept of IrishTV, with a half-hour programme each week from every county, taps into that spirit and should be of immense interest to audiences both at home and abroad,” said Mr Kenny. “I think it will be of particular interest to the Irish abroad in the way it will allow people to keep up to date with stories from their own particular area.” The 24-hour channel featuring 50-home produced programmes a week will broadcast to a worldwide audience. UK Prime Minister David Cameron also stated his support in a special message to the station today. “This is a fantastic way to connect the 90 million people in Irish communities all over the world – and is something that I am sure will be welcomed by all those in the UK with an interest in Irish business and culture,” said Mr Cameron. "I hope this new channel can help with these ambitions and I wish IrishTV every success." The 32-county channel has also cross-party support in the North Ireland with Deputy First Minister Martin McGuinness and DUP Minister of Enterprise, Trade and Investment Arlene Foster both endorsing the channel on behalf of the Northern Assembly. Three of IrishTV’s new ‘County Matters’ presenters were unveiled at Government Buildings – Rachel Lally (Laois), Geraldine O’Callaghan (Dublin) and Ian McDonnell (London). The station will begin broadcasting with a two-hour live launch party from Westport tonight from 8-10pm, featuring stars of country and Irish music including Tommy Fleming, Sean Keane and Matt Molloy as well as showcasing a host of new IrishTV countrywide presenters.